The garden is a place for the whole family to enjoy, and there are many ways you can enhance your outside experience with some stylish garden structures and shades. The addition of a gazebo or arbour instantly gives you a wonderful place to relax, unwind and is the perfect garden shade on a sunny day. 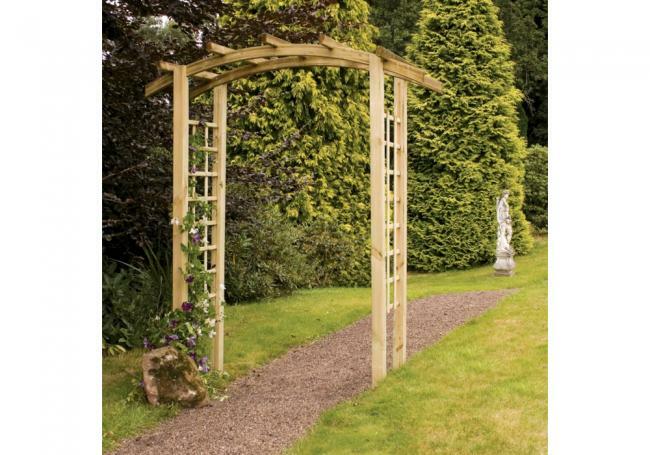 For an attractive and interesting feature, a garden arch is a fabulous way to transform your outside area, while a pergola can create a lovely tranquil and shaded area. 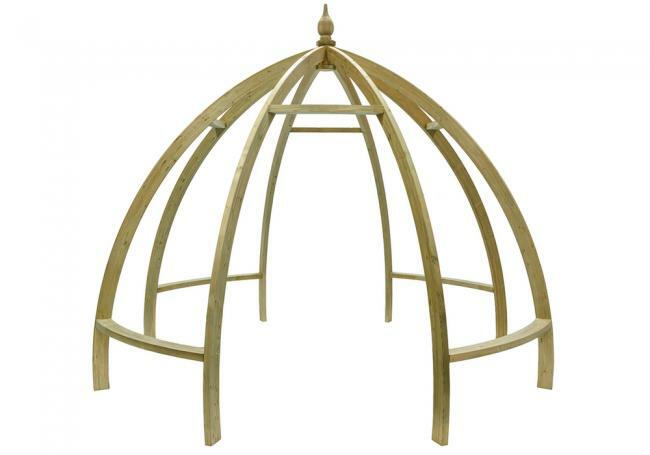 At AWBS we have an extensive selection of magnificent garden structures and shades, with free local delivery from our Oxford, Yarnton and Swindon branches. And, with our price match pledge, you need look no further for inspiration to brighten up your garden. 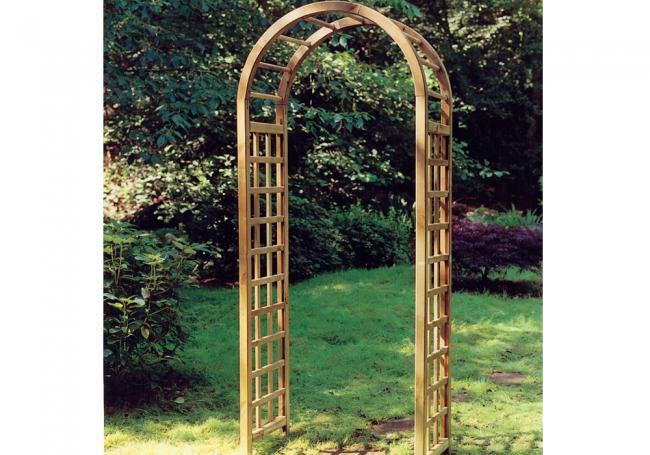 Find out more about our garden structures and shades. Whether a garden arch as a lead through from a patio or lawn and adorned with colourful and fragrant climbing plants, or a stunning pergola centrepiece housing garden furniture for entertaining friends and family, garden structures and shades can bring character and flair to any garden. Our gazebos offer the perfect, shaded retreat, whether the delightful Budleigh or Regis ‘bandstand’ style. 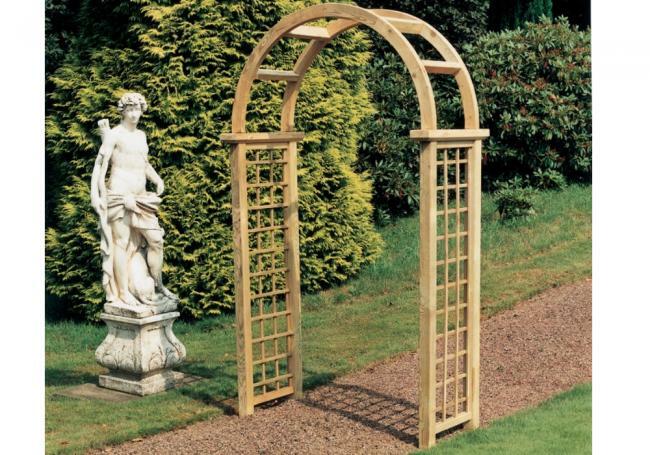 With our timber garden arches you can be as creative as you wish, with styles ranging from the Grange Contemporary chunky arch to the classic trellis-sided design of the Valencia. For complete escapism, our garden and horticultural selection includes garden arbours with the understated style of the Grange Livorno to the elaborate sophistication of the Valencia corner arbour, with integrated seats and table. For a beautiful pergola, you’re spoilt for choice with our exquisite selection – from the distinctive and modern style of the Grange Apollo, to the gorgeous freestanding Grange flower circle. To view our stunning range of garden structures and shades, visit your local AWBS branch where our friendly and knowledgeable staff members are always on hand to help.